Someone once said, “Hope is the cruelest of the evils that escaped Pandora’s box.” But there’s a differing perspective to that thought as expressed by a 19th century self-help author. In his mid-forties Orison Marden narrowly escaped losing his life in a hotel fire. The blaze destroyed nearly fifteen years of the fruits of his labor with the loss of over 5000 pages of manuscripts he had written. A contemporary wrote: Having nothing but his nightshirt on when he escaped from the fire, he went down the street to provide himself with necessary clothing. As soon as this had been attended to, he bought a twenty-five cent notebook, and, while the ruins of the hotel were still smoking, began to rewrite from memory the manuscript of his dream book. Despite being overwhelmed and heartbroken, rather than give up, he moved forward. That book Pushing to the Front was published in 1894 and became at the time the single greatest runaway classic in the history of personal development books. It was read by U.S. presidents and English Prime Minsters. Businessmen like Henry Ford, Thomas Edison and J.P. Morgan cited his work as inspirational. Orison went on to write fifty or more books and booklets during his career. In 1897 he created Success Magazine which continues today with a monthly circulation of 500,000. Marden is considered the inspiration for dozens of modern authors of self-help and motivation. While each of his books produced dozens of famous quotes, this is just one of them. I shared this quote a couple of years ago in this forum. It came from a distant cousin of mine who reminds us to remember when you wake each morning, it’s a brand new day! My cousin’s name is Marion. He was a big man, like many in my family are. A masculine kind of a guy larger than life. My family and friends loved him, and so did I. He was all-American and symbolized our family values. This quote appears on his headstone. My cousin was born Marion Robert Morrison and would become an American icon known as the legendary actor John Wayne. I’ve never seen the stage play but I loved the movie “Annie”. I’m not much “into” musicals, but a few stand out. A few I could watch again and again. In Annie I especially enjoyed Carol Burnett’s portrayal of Agatha Hannigan, the drunk, cruel, caretaker at Annie’s orphanage who all the girls feared. I love Carole Burnett. Annie’s story is based on the popular comic strip character Little Orphan Annie from a bygone era and articulates an optimistic view of life through the theme just hang on, until tomorrow. 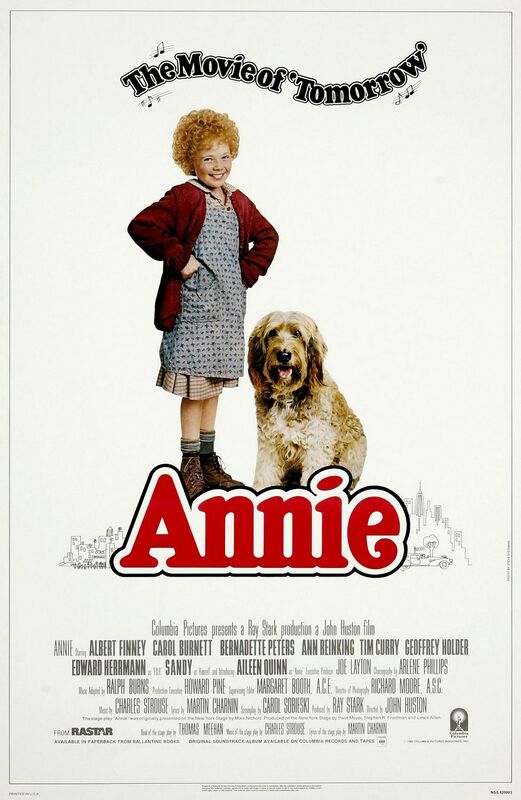 Times weren’t easy in those days for Annie.